This is the post WWII model that first emerged after the wartime interruption in production. 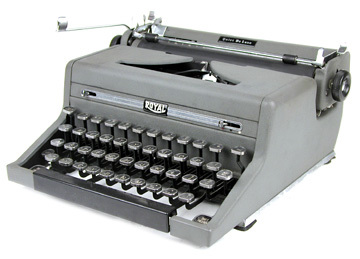 Updated with Henry Dreyfuss's design, the Quiet DeLuxe's popularity raged on and became the personal writing machine for unknown numbers of literary works. 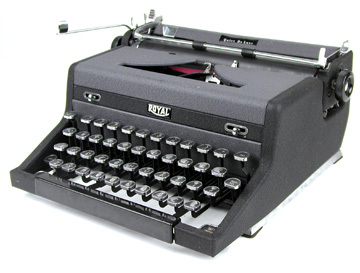 After its extremely promising start in the portables market, Royal not only caught up with its rivals namely Underwood, Remington and Smith-Corona, but overtook them all by the 1950s to become the world's largest typewriter manufacturer.